Matador Goods Editor and MatadorU faculty Lola Akinmade Åkerström interviews Lennart Pittja, project manager of VisitSápmi – an organization that promotes sustainable travel through the Sápmi region (regions of Norway, Sweden, Finland, and the Kola Peninsula in Russia) and cultural exchanges with indigenous Sámi. I first met Lennart in Jokkmokk while doing research for an article on Swedish-Sami relations. I was taken in by his passion as he described the new organization he was spearheading – VisitSápmi, and I immediately understood why. As an indigenous Sámi himself, this project was a lot more personal on many levels. 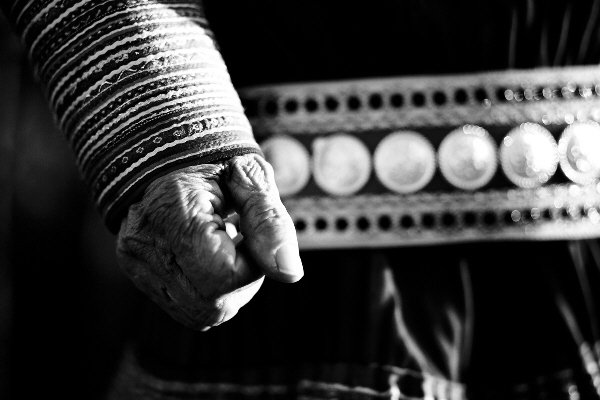 So I reached out to him on behalf of Matador to take us behind the scenes of VisitSápmi, explain its purpose, vision, and goals as well as outline why it is such an important project in helping preserve centuries old Sámi traditions and culture. MATADOR: What is VisitSápmi? How is it different from VisitSweden, and what does the organization aim to achieve? 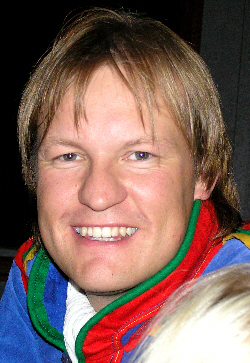 Lennart Pittja: Sápmi is the Sámi name for our land. Lapland is often promoted as land of the Sámi. The term has been misused for mass tourism and simplification of the Sámi – but Sápmi is the true name of our land and we plan to make it known as such. VisitSápmi was created as a tourism and information organization to do this. VisitSápmi wants to promote and develop sustainable tourism. We want to be involved in decision making in Swedish tourism. We want to share the Sámi knowledge. We want people to visit us, learn and become ambassadors. We want to develop more tourism that gives money back to Sámi communities. We want to develop this in a more respectful and sustainable way than what we see today. We want to co-operate with partners that share the same belief that sustainability is the right path for the future. Sápmi (or Lapland) has been a magnet for tourists from all over the world and is visited by millions of tourists every year. This tourism often uses the land where Sámi people are living and herding reindeer. From a Sámi reindeer herding perspective, tourism is mainly another intrusion and problem. Problems like forestry, mining, hydro-power damming, wind mill plants, carnivores and tourism all add up to substantial problems that today threaten the very survival of reindeer herding. Since the herding is based on natural migration of the reindeer, we don’t use all the land all the time. Roughly we are in the mountains in the west during summer and in the forest areas in the east during winter (although some Sámi communities stay in the forest all year around). If tourism is planned and performed in co-operation and with respect for Sámi needs and requirements, tourism is an industry that need not threaten the Sámi culture or destroy land. Therefore, one objective of VisitSápmi is to help reindeer herding communities to create a tourism management plan on how to use the land in Sápmi, and how to decide what can be accepted and what to protest against. We cannot stop the tourism industry so we need to get involved in the development and see to it that benefits also come to the Sámi. We must show the Sámi that tourism can be a good thing. It can help to spread knowledge about Sápmi, create income and preserve traditional know-how and values. But, VisitSápmi will have a hard time convincing communities that responsible tourism is possible based on negative impacts experienced and the fear that younger people will turn away from reindeer herding. Sámi people and lifestyle is by foreigners considered one of the most charismatic and interesting things you can see and do in Scandinavia. Therefore, Scandinavia is often promoted with the pictures from Sápmi – people in traditional clothes, reindeer, lávvu, food etc. But still today, we see very few successful Sámi tourism companies in Sápmi – despite all the media/pictures/documentaries/articles and so on. So the images and the charisma of Sámi people is out on the worldwide market, but the money from tourism ends up in other people’s pockets. It is also worth noting that Swedes generally find Sámi experiences less interesting than foreign people. The ones that are most keen are often hunters and fishermen who want to use the Sámi fishing and hunting grounds for recreation. Here, VisitSápmi has a role to educate the Swedes. VisitSweden is the national tourism board in Sweden. It’s funded by national money from the state (50%) and the tourism industry (50%). VisitSápmi is a project, mainly funded by European Union. What will happen after the project period in regards of funding – we don’t know… If the Sámi tourism industry will have to raise funds for VisitSápmi, we are in trouble because we simply don’t have the industry that can take that role. VisitSweden already has the responsibility to promote Sámi tourism in Sweden, but we need to educate them and they don’t have the network among the Sámi service providers. So, I don’t think that VisitSweden will be successful in promoting Sápmi without us…as little as we will be successful reaching the foreign markets without the help and support from VisitSweden.